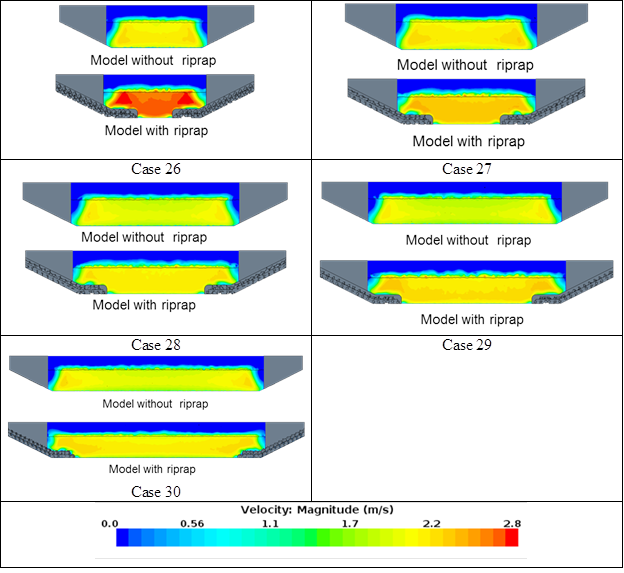 This appendix contains graphical representations of the shear stress and velocity distributions for each CFD case, comparing the models with and without riprap. Figure 111. Graphics. 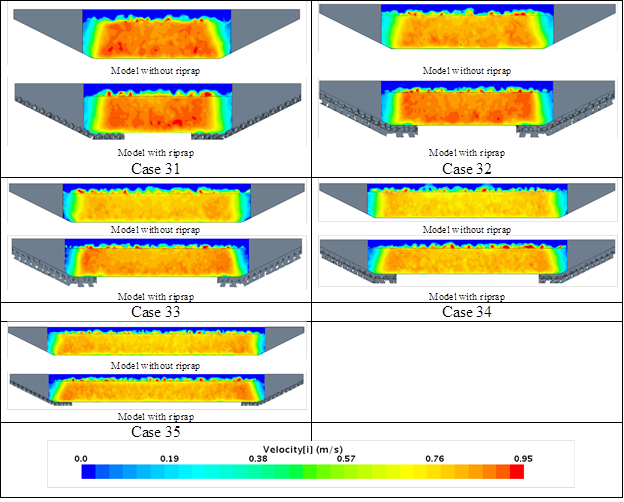 Comparison of results of bed shear distribution for group 1. Figure 112. Graphics. 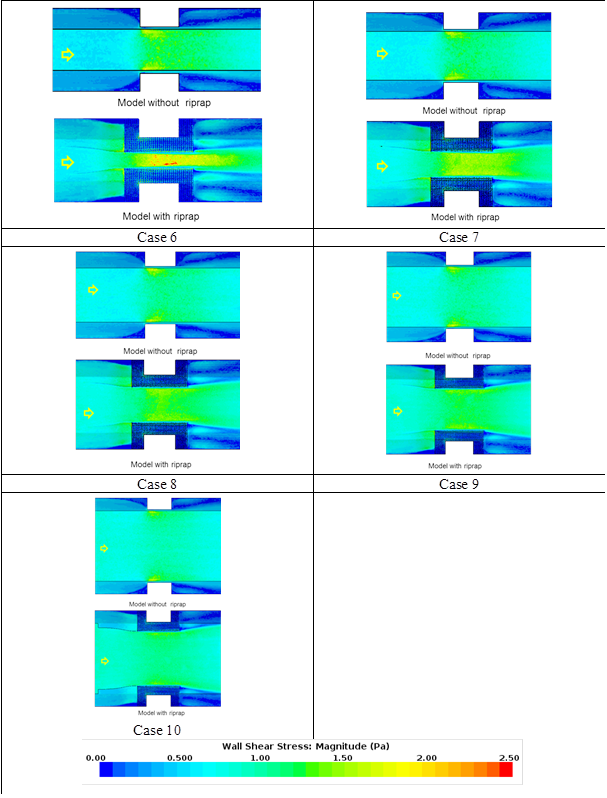 Comparison of bed shear distribution for group 2. Figure 113. Graphics. 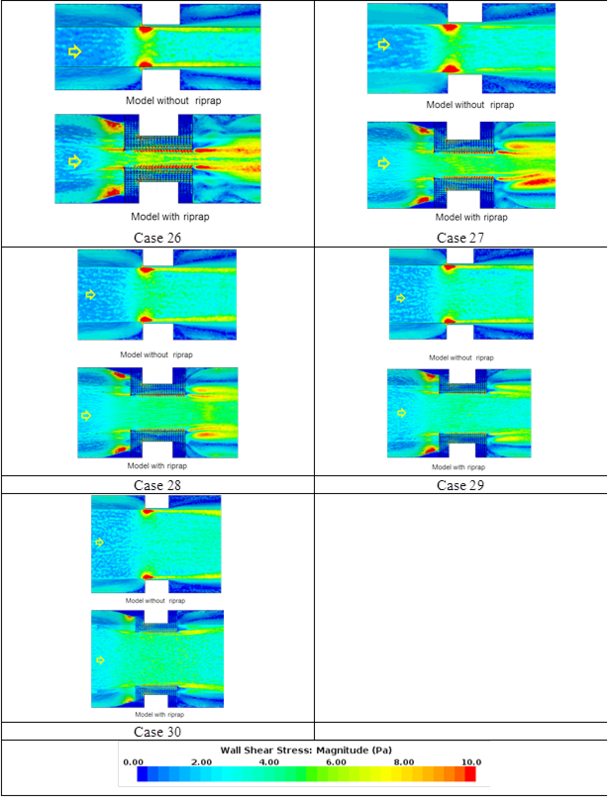 Comparison of bed shear distribution for group 6. Figure 114. Graphics. 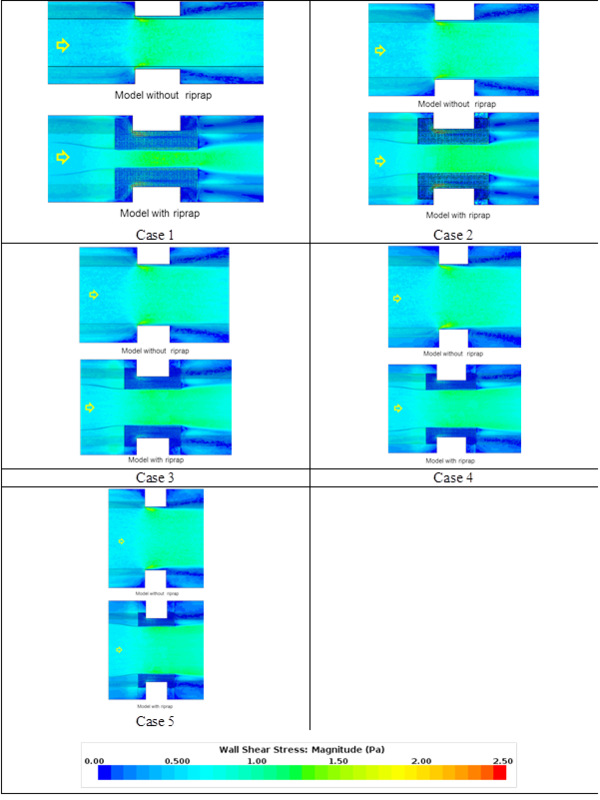 Comparison of bed shear distribution for group 7. Figure 115. Graphics. 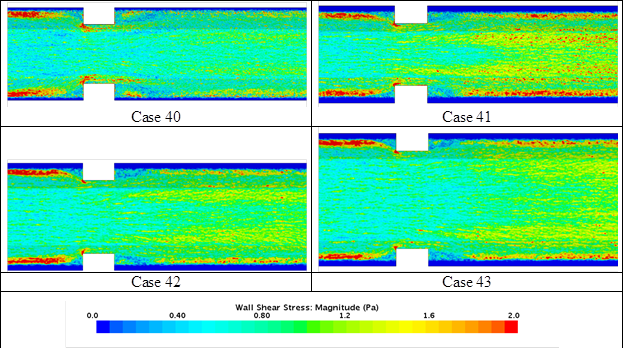 Comparison of bed shear distribution for the short extension slope. Figure 116. Graphics. 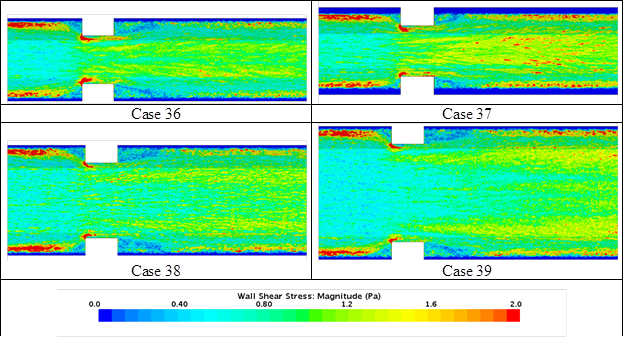 Comparison of bed shear distribution for the long extension slope. Figure 117. Graphics. Comparison of velocity distribution at central cross section for group 1. Figure 118. Graphics. 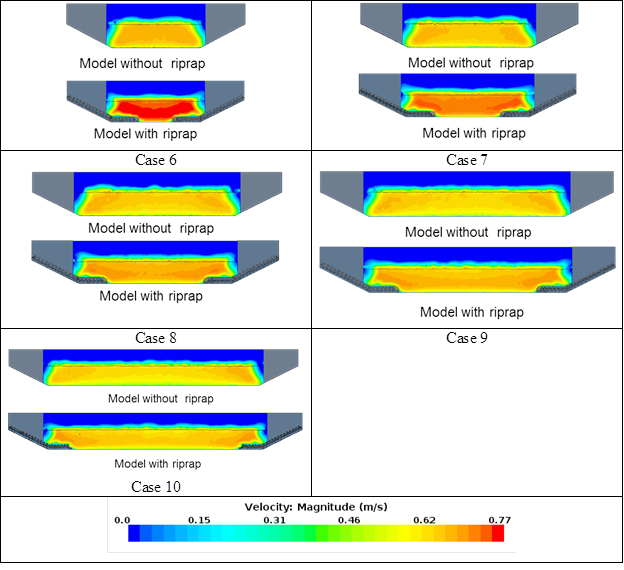 Comparison of velocity distribution at central cross section for group 2. Figure 119. Graphics. 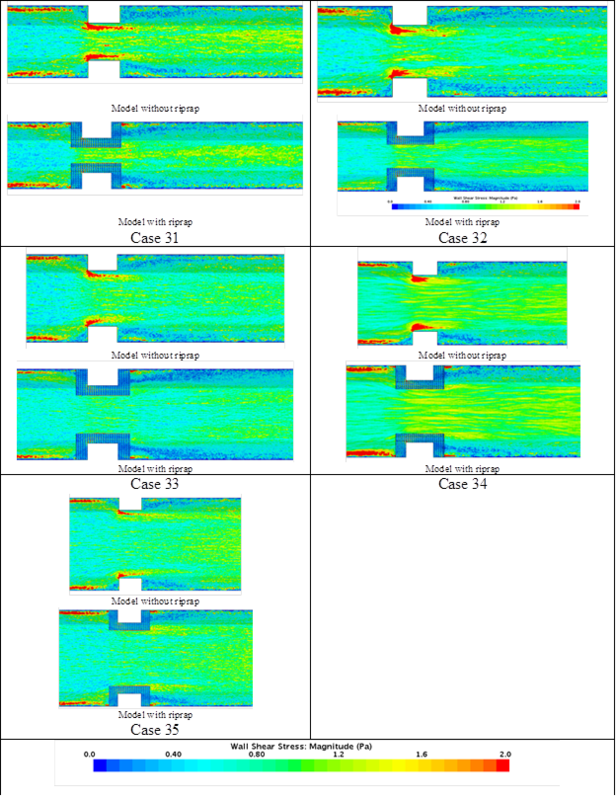 Comparison of velocity distribution at central cross section for group 6. Figure 120. Graphics. Comparison of velocity distribution at central cross section for group 7. Figure 121. Graphics. 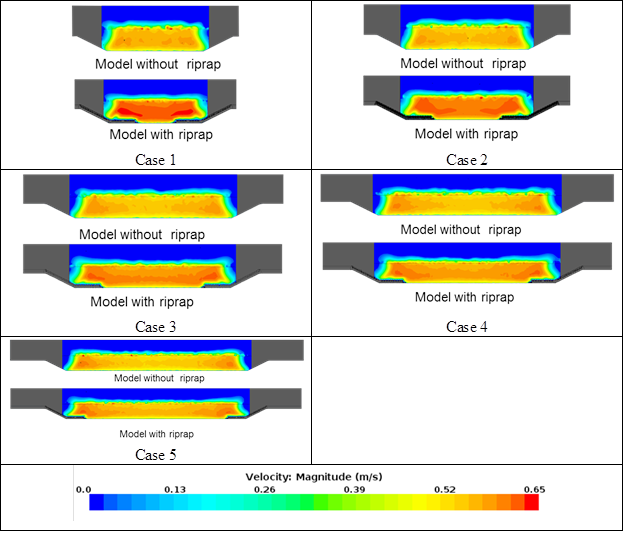 Comparison of velocity distribution at central cross section for short extension slope. Figure 122. Graphics. Comparison of velocity distribution at central cross section for long extension slope.